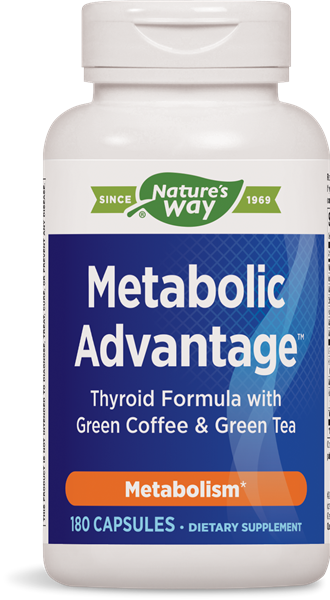 Metabolic Advantage™ / 180 caps - Nature's Way®. The caffeine content for Green Tea extract is less than 1% and the Green Coffee Bean is less than 2%. That would make the combined amount of caffeine per serving less than 3mg. For comparison, the average amount of caffeine in one cup of coffee ranges between 80 to 115 milligrams, depending on the method of brewing and type of coffee bean used.